While many people associate skiing with Colorado and Utah, one might be surprised at the vast number of California ski areas. Each resort has its own unique appeal. Some are more family-friendly, while others offer a more active apres ski social life. Here are some of the more popular California ski areas. The Lake Tahoe ski area is actually composed of seven separate resorts. It is located on the California/Nevada border in the Sierra Nevada mountain range. Lake Tahoe is the second largest alpine lake in North America. Reno-Tahoe International is the nearest airport. With 20 percent beginner terrain, 30 percent intermediate, 40 percent advanced and 10 percent expert, Mount Rose has something for everyone. Northstar at Lake Tahoe is a family-friendly resort that is located six miles from the north shore of Lake Tahoe. Northstar's Mount Pluto and Lookout Mountain boast 70 trails, which cover 2,420 acres of terrain. Choose from gentle bowls to long, steeper runs, which are serviced by a state-of-the-art network of 18 lifts. The mountain is at a base elevation of 6,330 feet, and is blessed with an annual average snowfall of 350 inches. With 60 percent of its 89 trails marked blue, Northstar is an intermediate's paradise. Squaw Valley was the site of the 1960 Winter Games. This world-class destination resort boasts 4,000 acres of lift-served terrain, an annual snow pack that has been known to exceed 450 inches. With 31 lifts and an uphill capacity of 49,000 skiers per hour, Squaw has one of the world's most extensive lift networks. Based on its incredible terrain, Ski Magazine determined that Alpine Meadows was one of the best ski areas in the country. Its new beginner's program will offer top quality instruction for novice skiers and snowboarders. In addition to the major world-class destination resorts, California is home to a large number of smaller ski resorts, which are often popular with families. 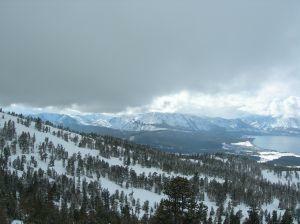 For a complete listing of California ski resorts, visit the Go California skiing website.